What Is A Fever? Is It Dangerous? Hello guys, welcome back to our website. Today I want to share you about fever and everything about it. What is a Fever? Do you ever feel it? I can guess everyone must be ever feeling it. Well, let’s discuss fever today. So, do you know the definition of fever? There are so many people mistaken as a disease because of their lack of knowledge about fever. The definition of fever itself is having a temperature above normal range due to an increase in the body temperature set-point and sometimes caused by an infection. There’s no one know about the upper limit of human normal temperature point. However many people believe the value between 37,5 until 38 degrees Celsius. There’s even a mistaken thing about the fever that grows in people believes, many people believe fever is a disease rather than a medical sign. There are not many people who know the fact of fever. Fever is a reaction from our body to fight back against the virus, bacteria, toxic, medicine, and many another thing. This high-temperature reaction will be a lead body to produce pyrogens. This thing will try to provoke and notify hypothalamus to raise up the body temperature set point to help our body defensive system to fight the infection. Even, in fact, fever itself isn’t a disease. This medical sign is having a few symptoms too. So, I will try to explain the symptoms of fever according to medical research one by one. People who get fever will shiver sometimes. You also feel ache on their muscle sometimes. They have mistaken this for muscle inflammation rather than the symptom of fever. They will feel weak and didn’t have any energy. You will lose their appetite and this will make their condition even worse. they will feel really thirsty even if they drink so much water, it caused because their body try to cool down the temperature in your body. So, your body will lose so many fluids in that process. Sweating is the effect of your body try to cool down the temperature of your body. If you feel this fever symptom is bad. You need to read this Heavy Fever symptom. 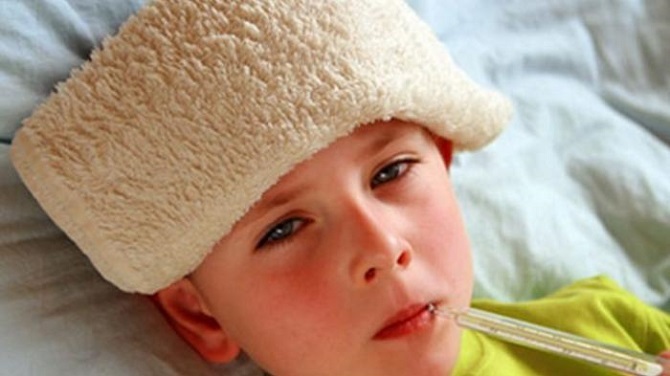 Heavy Fever has different symptoms than normal fever. The causes of Heavy Fever because your body reach 40 until 41 degrees Celcius. If their body temperature is too high sometimes people will be hallucinating. Fever symptom can cause people to feel even more dehydrate than usual. Well, fever itself isn’t an alarm or a reason for you. So, you need to call a doctor. However, there is a certain condition you need to call a doctor to checking your medical condition. There are a few ways to check your body temperatures using the different type of thermometers. Fever is the sign of infection of common illness like flu, coughing, pneumonia. A common thing that happens after immunization. So, you must be asking now. How to Cure Fever? Well, I will explain it to you. It’s a common thing to do when you or your friends or child get a fever. Do a wet towel treatment by placing a towel that already soaked to iced water to your head. Eat some soups. Eating some soups while you get a fever can help you keep hydrated and to keep up protein to fix your immune system. Drink plenty water will be a nice choice to do. Because you lost so many fluids in your body in order to cool down your body. You will need to refill them right? That’s the information from me about what is a fever and how to cure it. I hope this information will help you to cure your fever. If you find this article helpful, please share this article to your friend or family. Thanks and see you in my next article.